UPDATE: Due to the contractor experiencing an unexpected delay in the shipment of insecticide this evening's aerial spraying for mosquitoes has been postponed. No spraying will occur tonight. With weather permitting, and receipt of product, aerial spraying is scheduled to resume on Monday evening and be completed by Tuesday am. More information to follow Monday, October 8th, 2018. We apologize for any inconvenience this may have caused. 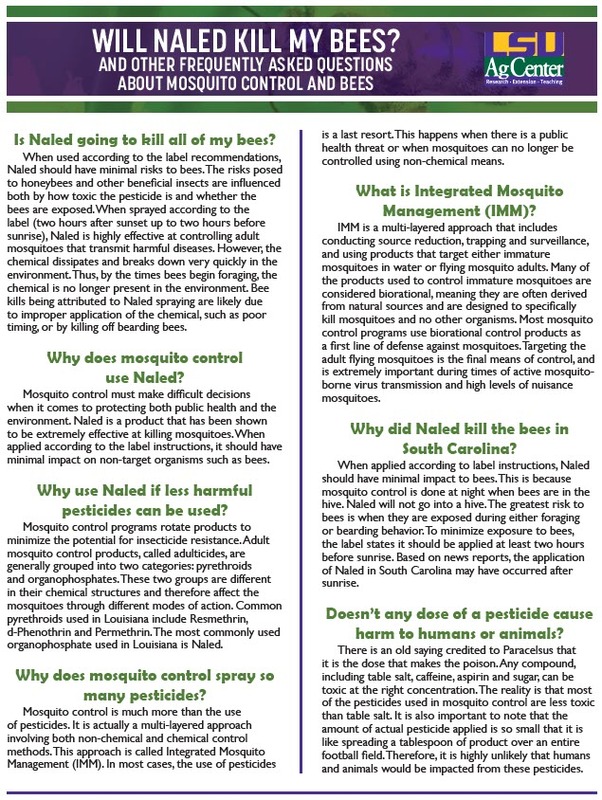 Here is the newest information regarding the aerial spraying including a schedule and map! Please reach out to members that might not have access to email and/or social media. David Tarpy on How to Protect Your Beehives From Mosquito Spraying Following a Hurricane. A message from David Tarpy on How to Protect Your Beehives From Mosquito Spraying Following a Hurricane.